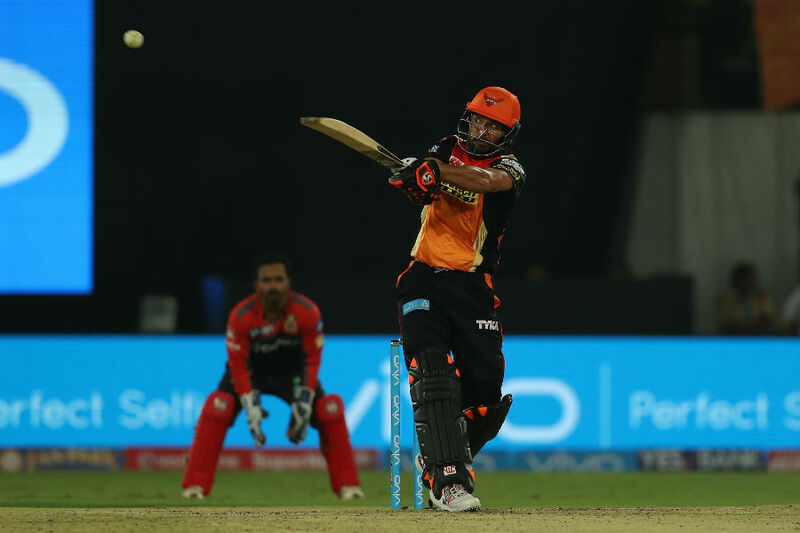 Review - Match 1 - SRH vs RCB. The tenth anniversary of the Indian Premier League was celebrated in as many as eight cities. Post the dilation of the list of injured players and the spectacular opening ceremony, it was time for the game of cricket to take a centre stage. The first game was to be played between the finalists of the previous edition of the IPL in Hyderabad. In the absence of Virat Kohli and AB de Villiers, Shane Watson was leading the visitors, Royal Challengers Bangalore. Injuries to Lokesh Rahul and Sarfaraz Khan have further made matters worse for them. Watson won the toss and elected to field first. Sun Risers Hyderabad had included the man of the match in the final of the last season, Ben Cutting, as their fourth overseas player. Tried and tested duo of captain David Warner and Shikhar Dhawan were to face left-arm debutants in Tymal Mills and Aniket Chaudhary. Warner scored the first four of IPL 10 on the third ball when he found the point boundary. Chaudhary's first over saw him going for a four, bowling a no-ball, being hit for a six on a free-hit and finally dismissing Warner on 14. Yuzvendra Chahal was introduced into the attack in the fourth over itself. Yuvraj Singh was declared the Man of the Match. Watson introduced himself in the last over of the powerplay and went for 17 runs. It was Stuart Binny, who came up with a wicket as he dismissed Dhawan in the 11th over. It was important for the new batsman to not waste too many balls in the quest of getting his eye in and Yuvraj Singh did exactly that. He went all guns blazing from the word go. Sreenath Aravind dropped him at deep square leg off Chaudhary's bowling, adding more to RCB's woes. After scoring the first half-century of IPL 2017 and against the run of play, Henriques got out when he failed to clear Sachin Baby at long-off, giving Chahal his first wicket. 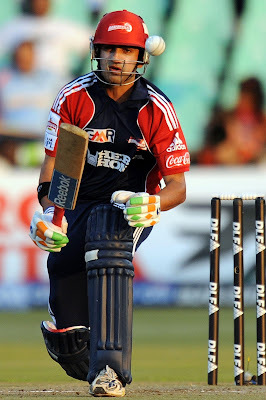 Mills got dismissed Yuvraj (62 off 27 balls) in the second last over but by then the damage was done. Cameos from Deepak Hooda and Ben Cutting sailed the SunRisers past 200 as they finishes their quota of 20 overs on 207-4. Royal Challengers Bangalore started on a positive note as Mandeep Singh scored two boundaries off Ashish Nehra in the first over itself. Soon Chris Gayle was also among the runs. A 200+ target looks big on paper but not if Gayle gets going. He was showing signs of just that. They had scored 43-0 in four overs. Afghanistan's prodigy, Rashid Khan, was given the ball in the powerplay and he provided instant results for his captain. Mandeep (24) played on to his stumps. Another spinner in Deepak Hooda got rid of Gayle (32) in the seventh over. Openers back in the hut did not affect Travis Head and Kedar Jadhav. RCB scored 98-2 in 10 overs. With eight wickets in hand, it was anyone's game from hereon. In the 12th over, a ripping direct hit from Cutting found Jadhav (31) short of his crease. Head (30) miscued Rashid Khan's wrong'un and failed to clear Yuvraj at long-on. Baby (1), too, got out in the next over. With half the side gone, Watson and Binny had to score 78 in six overs to clinch a victory. The deficit was reduced to 57 from four overs. But both Binny and Watson were dismissed in back to back overs, which turned the the match in Hyderabad's direction. Wickets kept falling in the slog overs meaning that RCB could only manage 172-10 in 19.4 overs. In what was their first match, and without some key players, RCB made a valiant effort in reaching 175. More than anything, they would want to improve on their fielding. On the other hand, SunRisers will look to carry the momentum forward against Gujarat Lions on April 9. Shake a leg or two? May be! Preview - IPL 10 - Kolkata Knight Riders. Preview - IPL 10 - Rising Pune Supergiant.